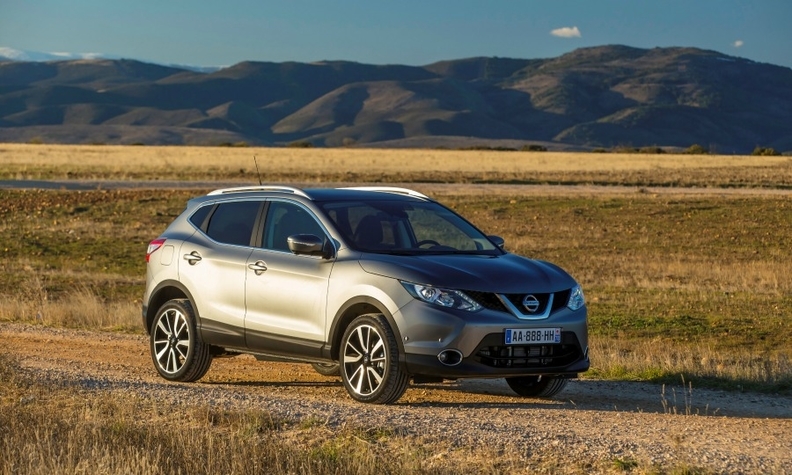 The introduction of new vehicles like Nissan's revamped Qashqai have helped boost UK export figures. LONDON (Reuters) -- The UK reported its best July on record for car exports, the Society of Motor Manufacturers and Traders (SMMT) said today, as production rose by nearly 3 percent year-on-year because of new models and strong sales of top-end vehicles. The UK built nearly 103,000 cars for export, the highest ever for a month of July, according to the SMMT, whose records date back to the 1920s. Including cars built for domestic sale, production reached 132,570 cars, a rise of 3 percent, the highest for the month since 2004. The SMMT said rising exports were due to new models being made in the UK and the increasing popularity overseas of premium and specialist brands such as those made by Jaguar Land Rover. Among the volume models to roll off UK production lines and boost figures in the past 12 months are Honda's Civic Tourer wagon and a new version of Nissan's Qashqai SUV. Premium and specialist marques -- including brands such as Volkswagen Group's Bentley and BMW Group's Rolls-Royce -- now account for more than half of car exports, whereas they represented only a third a decade ago. "This is a major milestone and testament to the burgeoning reputation of UK automotive excellence and demand for British-made cars," SMMT CEO Mike Hawes said in a statement. July's growth rate is a drop from June's 4 percent increase as the expansion starts to level off after several years of rapid gains to recover ground lost since the 2008-09 financial crisis, when output and domestic sales nose-dived. However the SMMT still expects annual car production to beat 1972's all-time high of 1.92 million by 2017. So far this year, overall production has risen 3 percent to 923,884, while production for export is up 4 percent to 728,440. The proportion of UK-built cars exported abroad has steadily increased from a low point of one in five in the mid-1980s to four in five last year. The market’s trade deficit in cars in the second quarter of 2014 shrank moderately to 277 million pounds ($461 million) from 317 million pounds a year earlier, according to the Office for National Statistics.